Wild strawberries are a common native plant found growing in open fields, woodlands and even our yards. In fact, some people consider the wild strawberry plant to be nothing more than a weed. Yet, it’s so much more than that. Smaller than store-bought strawberries, which are a hybrid of the wild strawberry and a European species, the berries are a favorite treat to many birds and animals, as well as people. Yes, contrary to what some may think, wild strawberries are not poisonous. In fact, the berries are edible and tasty. There is, however, a similar plant, called Indian mock strawberry, which has yellow flowers (rather than white), that produces berries with little to no flavor. The neat, clump-forming habit of wild strawberries makes them an excellent choice for edging or ground cover. 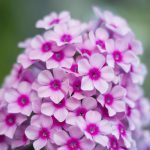 They can also be grown in containers, hanging baskets or strawberry jars. Virginia wild strawberry, Fragaria virginiana – This is one of the most popular types of wild strawberry. It has light green leaves and small, tasty berries. Beach or coast strawberry, Fragaria chiloensis – The leaves of this variety are dark green and shiny. While its berries are also edible, they’re not as palatable. Woodland strawberry, Fragaria vesca – This type enjoys moist, shady conditions, and is normally found in wooded areas. Both the flowers and leaves are larger than other species and its foliage is more bluish in color. The bigger berries are also quite delicious. 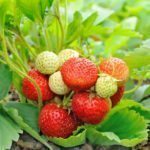 The wild strawberry plant is easy to grow and will eventually spread to form a nice ground cover (about 6-12 inches high), so this is something to consider when growing wild strawberries. Give it space. 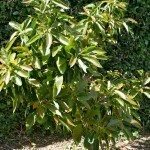 It’s also a cool-season plant, which means that it grows actively during spring and fall but goes dormant in summer and again in winter. The wild strawberry flower generally prefers full sun to partial shade. It also likes rich soil that is somewhat moist, though is tolerant of slightly dry conditions too. If your soil contains a lot of clay or drains poorly, amending it with organic matter will help. Wild strawberries spread by stolons (above ground runners) and rhizomes. As the runners grow, they send up new strawberry plants, which can be easily transplanted from other areas of your property into the garden. Divide and transplant in early spring just as the new growth appears. Lift plants and pull apart the crowns. You can also purchase plants from nurseries. When planting wild strawberry, keep the crowns at ground level and water well. Top-dress the soil with compost and mulch plants with straw to help soil retain moisture and keep fruits clean. Once established, wild strawberry requires little care other than keeping them watered during hot weather and while bearing fruit. During winter in colder climates, you may want to mulch the plants with straw or loose leaves to help protect them. Ripe berries can be harvested anytime during April through June. 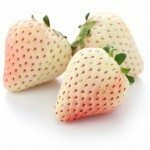 They are a good source of Vitamin C and can be used on cereal, in pancakes, fruit salad, sauces and more, much like regular strawberries. Wild strawberries are an excellent addition to any backyard garden, whether the fruits are enjoyed by you or your wildlife friends.